Glasses for wheat beer- etch your logo as well! 16 oz. 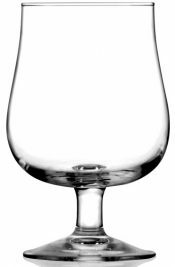 Specifically designed to enhance the aromas of wheat beers, our Wheat Beer glass is great for those autumn pours. 16 ounces of space to work with lets you pour the perfect head 12 per case. Get them imprinted with your custom logo when you work with Dejabrew to put your best foot forward!